I am knitting a shawl for my sister out of some of my fractal-spun yarn. This is the teal and rust yarn that I spun last summer, described in post One Fractal Down, on to the Next (This would be “the next”). 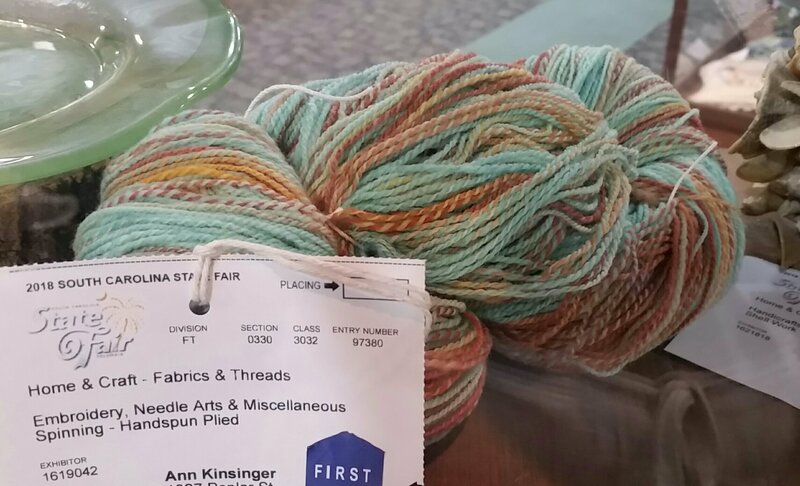 As as side note, this yarn won first place in the “Plied Yarn” category in this year’s SC State Fair!!! 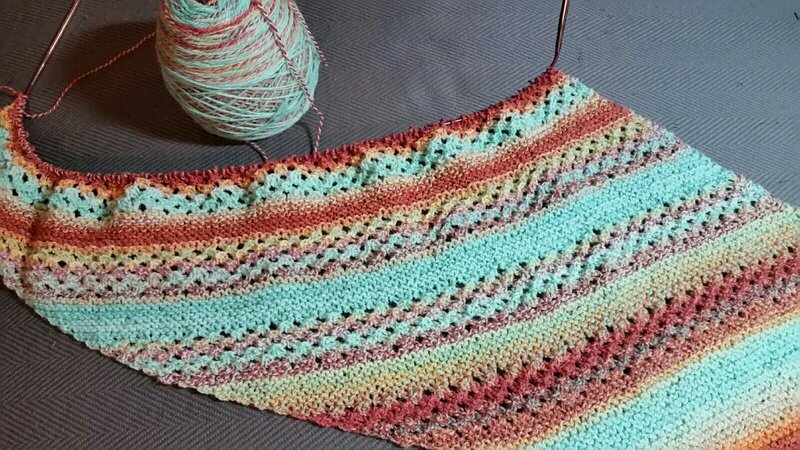 But the real secret to fractal yarn is how it comes out when you knit it. The way the colors progress is always a revelation, and beautiful. This entry was posted in Art, Fiber and tagged Fractal Spinning, Knitting. Bookmark the permalink.